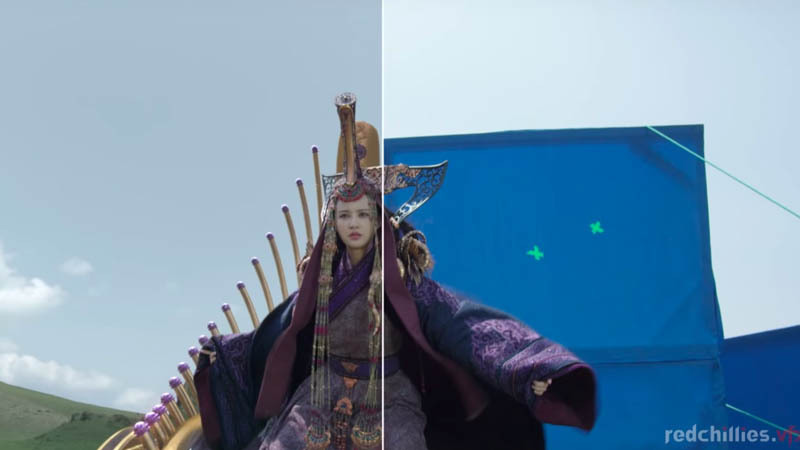 Redchillies VFX recently delivered VFX for historical epic film, Genghis Khan, produced by Jean-Jacques Annaud, directed by Hasi Chaolu, and starring William Chan. Along with Redchillies VFX Tippett Studio also worked on VFX for the movie. Tippett gave life to dozens of the CG creatures appearing in the film, from ravenous wolves and seething bears, to a bone conjuring devil-creature that can take out a village with one swing of his arm. With two-thirds of the film shot on green screen, Tippett Studio partnered closely with the filmmakers, and VFX team,Soovii, to create sequences that were 100% computer-generated: the creature, the effects, and entire environments within which the scenes took place. Tippett remained nimble in its approach on a tight timeline and innovated efficient workflows without compromising quality. Under the direction of Chris Morley and Matt Jacobs, the Tippett Studio team completed a total of 116 shots, 30 assets, 3 paintings and 2 environments in 6 months, bringing to life a certain enchantment only found in the adoration of a story retold throughout time.